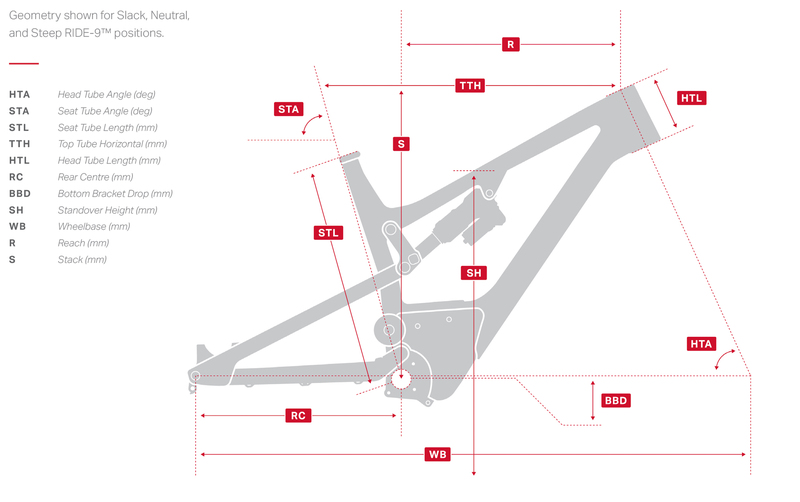 Cadre SMOOTHWALL™ carbon front triangle, FORM™ alloy rear triangle. ISCG05 Tabs. 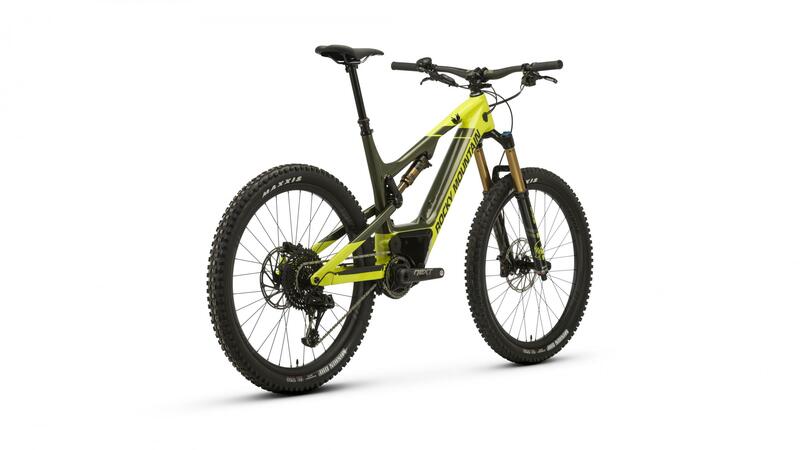 RIDE-9™ Adjustable Geometry + Suspension Rate. 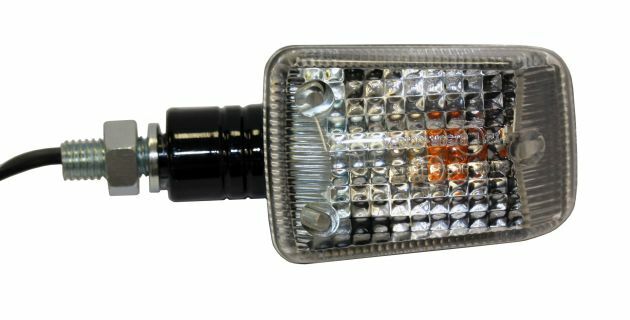 250 W / 48V Powerplay. - Fox 36 Float EVOL Grip Performance 160mm. - Amortisseur Fox Float DPS EVOL Factory. - Jeu de directionFSA Orbit NO.57 Steerer Stop. 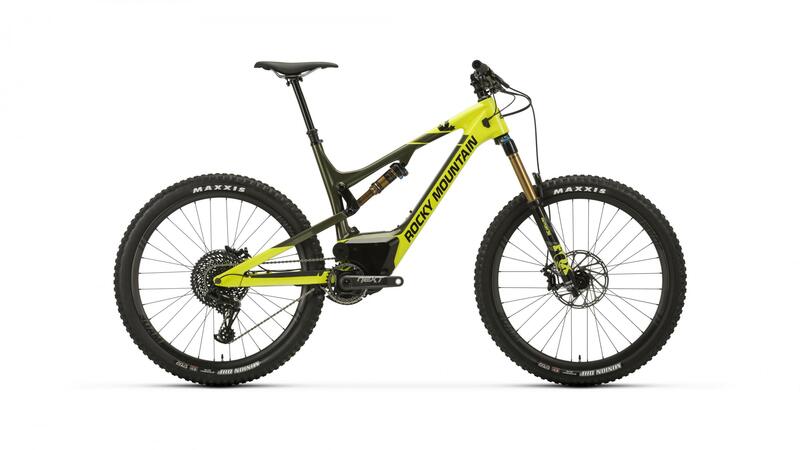 - Potence Rocky Mountain 35 CNC DH. - Poignées Rocky Mountain Lock On XC. - Levier de freinSram Guide RE. - Boîtier de pédalierRace Face BB92. - Moyeu arrière DT Swiss 350 Boost 148mm. - Jantes Rocky Mountain 30AM Carbon. Tubeless Ready - Tape / Valves Incl. - Pneus Maxxis Minion DHF WT Maxx Terra 3C Tubeless Ready 27.5 x 2.5. - Tige de selle Fox Transfer Performance Elite 30.9mm. S: 125mm Drop / M - XL:150mm Drop. - Selle WTB Silverado Race.